Cat litter box training takes both time and a good dose of patience. Whether you’re training your new kitten that you just brought home or an elderly cat that you just adopted, the process can be completed by being consistent. Be prepared for a few accidents when cat litter box training, but don't reprimand your cat for having accidents because it can actually make the situation worse. Yelling at your cat may result in a fearful cat who has no idea what he/she did wrong. He/she may begin to hide and eliminate in an area of your house that isn't in plain view. Don't place the cat litter box too close to your cat's bed or cat food bowls. Much like humans, cats do not like to eliminate where they eat or sleep and are very sensitive to these smells. Don't use strong cleaners to clean the litter box. A mixture of distilled vinegar and water will do wonders and remove odors from the litter pan. Cleaners like ammonia can actually make the odor worse and cause your cat to avoid the litter box. After you cat uses the litter box, don't leave it dirty, this is the number one way to turn a cat that regularly uses the litter box, into a cat who finds somewhere else in your home to turn into their personal litter box. If you have multiple cats, don't just have one litter box in the household. It's important to have more than one litter box if you have a multiple cat household, especially when cat litter box training. You should introduce the litter box to your kitten as soon as possible. You can begin cat litter box training your kitten when they are about four weeks old. Depending on where you got your kitten, they may already be trained to use the litter box and simply need you to show them where it's located. Make sure to keep the litter box in an easily accessible but quiet area. An open litter box is recommended for kittens, it's less intimidating and it's easy to see your kitten especially when training them. Unscented litter, to find out about different types of litter visit Cat Litter:Pros And Cons Of The Different Types. Step 1: Cats tend to use the litter box in the morning, after meals or after play time. When you see your cat scratching the ground and or squatting in a corner, place him/her in the litter box. Even if you don’t see your cat squatting, place your kitten in the litter box after meal time, in the morning and in the evening, for about 3-5 minutes. Gently use his/her paws and make a scratching motion in the litter once or twice. Step 2: If your kitten uses the litter box, praise your cat. If not, try again in about an hour. Always speak calmly and gently to your cat, even if he/she was successful this time at using the litter box. Step 3: Ensure the area is private and quiet. Step 4: This is where the patience and time comes in, depending on your kitten, he or she may use the litter the first time you do this, or it make take a couple of days of repeating this every hour or two before your kitten independently uses the litter.. Step 5: If after 3-4 days your cat has still not used the litter box, try using a different litter or changing the location of the litter box. Make sure the litter box is in a low traffic area, and try putting it in a corner. Step 6: Be patient and consistent. If after a week your cat is still not using the litter box, take him/her to the vet to see if there are any health conditions. If your vet doesn’t not find any health conditions, such as a urinary tract infection, that may be preventing your cat from using the litter, you will have to repeat the steps until your cat is successful, persistent and patience will pay off. Although most older cats are already litter box trained, sometimes you may have to cat litter box train a newly adopted older cat. As with kittens, you will need to be patient with your cat and accept that there will be accidents. If after about a week your cat is still not using the litter, it’s important to take your cat to the vet to check if there are any under lining medical illnesses. Older cats may experience incontinence; this may be the result of a medical illness like a urinary tract infection, or due to their age. 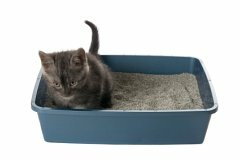 When cat litter box training, older cats are a bit more picky than kittens, so they might not be using the litter box due to the type of litter, you may have to try several different types to find one that they are comfortable with. As cat get older they may begin to experience difficulties with climbing, so it’s important to place the litter box on each floor so that it’s easily available. 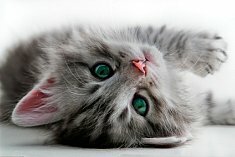 Older cats may also start to experience elderly cat health problems, such as deterioration of their memory, so the litter box should be place in a visible but quiet area and you may have to periodically place your cat in the litter box as they get older, just to remind them of the location. An open litter box is also recommended for cats experiencing illnesses like feline arthritis, it makes it much easier for them to go in and out of the litter box. 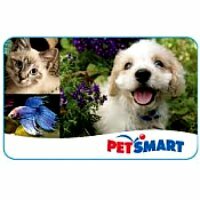 Standard litter box , to find out about different types of litter boxes visit Cat Litter Box: Finding The Perfect One. Step 1: To begin cat litter box training start off by introducing your cat to the litter box. Pet him/her gently and proceed to use their front paws to stir the litter. This will show them that this is his/her area and that they are free to eliminate there. Step 2: Your cat may jump out, but just calmly bring him/her back and try again. If he/she jumps out once more, try again in an hour or two. Step 3: If your cat successfully uses the litter box on the next attempt, praise and reward him/her, If not place your cat in the litter box every couple of hours. Remember to always speak calm and gently to your cat even if they didn’t successfully use the litter box. Step 4: If your cat eliminates in an area other than the litter box, which may happen, use an enzyme cleaner on the area to remove odors. This will prevent the cat from eliminating in the same place again. If your cat had a bowel movement, try placing the feces in the litter box. Step 5: In situations where your cat continues to refuse to use the litter box, try moving it to a different location, and changing the type of litter. Older cats may require you to change the litter several times and even the litter box. If you using a closed litter box, try using an open one, it may be easier for your older cat to go in and out. Make sure the litter box is clean and in an easy to access area. Step 6: If your cat continues to have accidents in the same place, place a litter box in that location. Slowly move the litter box each day to the location you would like it to stay permanently. This process could take a few days with kitten, but a week or two is recommended for older cats. When cat litter box training it may take your cat several weeks to independently use the litter box, so patience and persistent are absolutely essential. 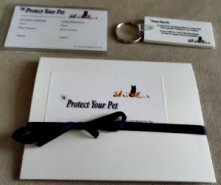 If you lose your patience and punish your cat for not using the litter box or having an accident, your cat may hide and become fearful of you, which could make litter box training almost impossible. Do not rush or pressure your cat to eliminate in the litter box. He/she may not have to go. Be sure you're waiting about least 30 minutes after meals and wait at least an hour each time after placing your cat back into the litter box. Cat litter box training requires persistance, so don't give up after the first couple of tries. Even if you use a self cleaning cat litter box you will need to train your kitten or cat to use it. It may take a few days or weeks for your cat to independently use the litter box. Continue repeating the steps, and praise and pet your cat when he/she uses the litter box in order to reinforce the behavior.